Food and Agriculture Organisation (FAO) and the African Union (AU) has launched a new framework document that aims to increase agricultural efficiency and reduce drudgery by helping countries in Africa to develop strategies for sustainable farm mechanisation. The Sustainable Agricultural Mechanisation: A Framework for Africa (SAMA) is the result of discussions with policymakers from AU member states, the AU Commission, FAO and key partners. "Doubling agricultural productivity and eliminating hunger and malnutrition in Africa by 2025 will be no more than a mirage unless mechanisation is accorded utmost importance," said Josefa Sacko, AU Commissioner for rural economy and agriculture at the launch of the framework at FAO. More than three-fourths of farmers in sub-Saharan Africa prepare their lands using only hand tools, a practice that entails poor productivity, repels youth and is incompatible with the continent's Zero Hunger goal. "Farmers in Africa should be able to use modern agricultural technology, both digital and mechanical, to boost the agricultural sector in a sustainable way," said Maria Helena Semedo, FAO deputy director-general. The framework notes that successful national mechanisation strategies will address key sustainability issues including gender, youth, environmental protection and the overarching principle that farming must be profitable. It also emphasises that these strategies should cover the entire agrifood value chain, including harvesting, handling, processing and food safety aspects, with an eye to reducing food losses, boosting rural employment and bolstering the links between farmers and consumers. While tractors are used to prepare land on over 60% of cultivated lands in Asia, the corresponding figure for sub-Saharan Africa is around 5%. Moreover, the use of draught animals in sub-Saharan Africa is minimal outside of Ethiopia - due in considerable measure to the tsetse fly - so almost all the work is done manually. The framework notes that cross-border initiatives - for dealers, supply networks and tractor operators - can allow for viable scale and greater utilisation. Another key consideration is farm profitability. This can be fostered by giving access to markets, credit and land tenure a visible role in mechanisation policies. The framework has been designed to contribute to the pledges made in the African Union's Malabo Declaration and Agenda 2063, and to do so in a way that is private-sector driven, environmentally smart, affordable and friendly to smallholder farmers. 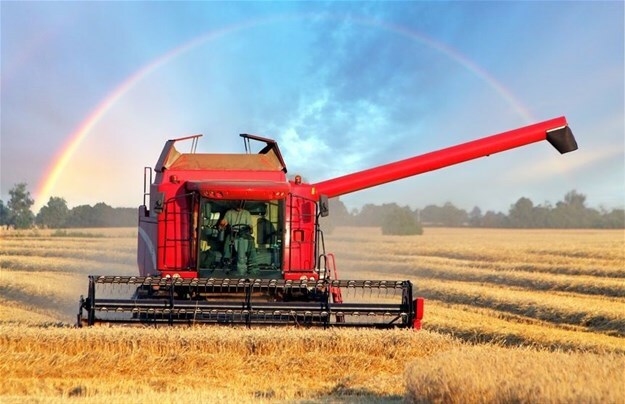 Its implementation will require significant contributions from other stakeholders, including public institutions and private actors such as the European Agricultural Machinery Industries Association (CEMA), which has just renewed its partnership with FAO to work on issues related to sustainable mechanisation strategies in developing countries. FAO and the AU's strategy acknowledges that "there is great potential for innovation in African agriculture" - notably with the proliferation of mobile technologies and access to information and services - and that a significant effort in capacity development will have to be made to rise to related challenges. To that end, FAO and the International Maize and Wheat Improvement Center (CIMMYT) have also published a training manual to help roll out more effective networks of access to small-scale mechanisation services. It is very sad that the FAO and AU still believe that increasing of “agricultural productivity" or do they mean "agricultural efficiency" by using "modern agricultural technology" alone can "boost the agricultural sector (industry) in a sustainable way." The improvement of efficiency through the application of new technology developments is very important in production but it is not the most important driver to achieve sustainable food security. The most important driver is the input/output price ratio, in other words, the prices that farmers pay for their inputs against the prices that the receive for their products. Food security can only be sustainable if the production of food is profitable. The single most important principle of the optimum and maximum profit level of production is based on these two drivers and ignoring this principle is the main reason why the underdeveloped countries in Africa will always have famine. It is actually a shame that the FAO of the UN, the AU and all the big international donors in Africa just don't understand it! Higher efficiency of production through mechanisation can also create a problem of surplus production which is devastating for the profitability and sustainability of food production!